2 Who Should Use Cloud Ready Chromium OS? 3 In which ways can I install Cloudready Chromium OS? 4 How to install CloudReady Chromium OS? Hello readers, you all must have used operating systems windows, Mac OS or Linux. No doubt, these operating systems are the best and get everything done. But have you ever think of using an operating system just for work? Google recently launched chrome books, which involved laptops which had only chrome and google apps in it, they used very less resources, very less power consumption and got things done. Now, if users having an old windows laptop which have very low end specifications can use chrome OS in open source project Chromium OS Cloud Ready which is a full fledged cloud computing OS. Who Should Use Cloud Ready Chromium OS? 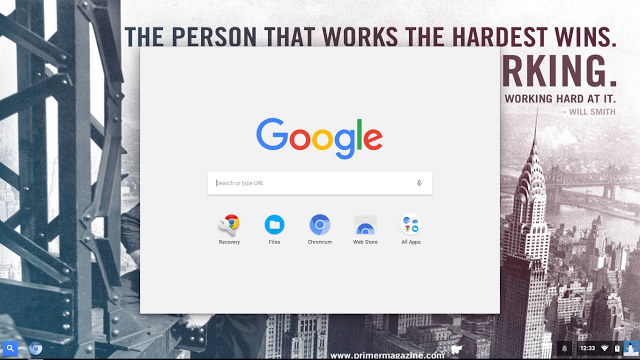 Those persons who need to do their work only in browser and with some basic office tools should opt out for chromium os. And those who want distraction free environment for work should also consider switching to cloudready chromium OS. While for a guy who want to watch movies and play games, I am sorry to tell you that Chromium OS is not for you as it is only for work in google cloud based environment. In which ways can I install Cloudready Chromium OS? You can install chromium OS in two ways – either as standalone install which will remove your current operating system and install cloudready chromium OS or install it as dual boot where you ccan boot cloudready along with windows. In boot menu, you will get option to choose from Windows or Cloudready Chromium OS. How to install CloudReady Chromium OS? I decided to try this operating system in my laptop and the performance just amazed me!! It was lightning fast with chromium browser and other office apps by google works smooth as butter rolling on pan. It is one of the best cloud computing systems out there. So, my suggestion would be, if you have an old laptop and want to work from browser and office apps, its time to ditch windows and go for cloudready or go for dual boot chromium OS with windows.